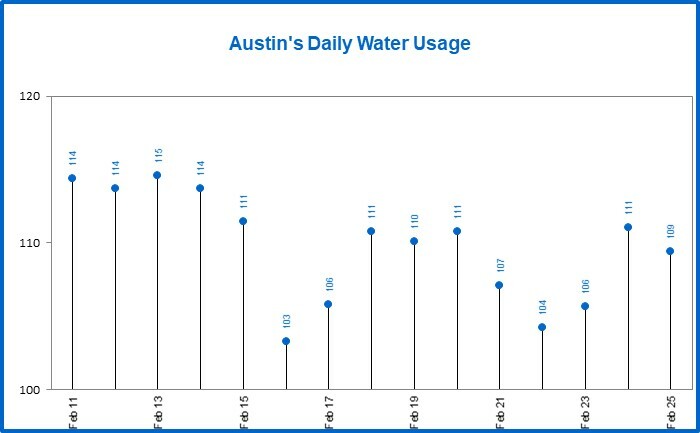 The graph below shows Austin's current daily water usage in million gallons per day (MGD). The demand trigger for implementing Stage 2 Water Restrictions is usage that reaches 320 MGD for one day or 300 MGD for three days in a row. See a multi-year graph that highlights 3 years of water usage: 2007 (wet year), 2011 (dry year) and 2017 (starting in January).